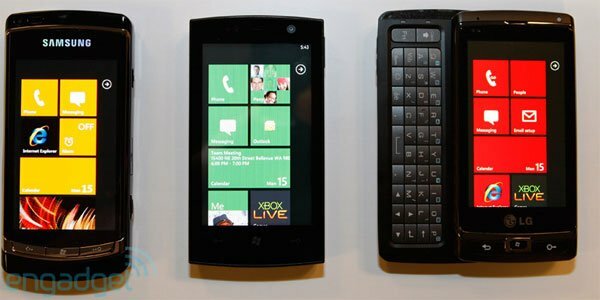 As well as releasing information on the Windows Phone 7 SDK, Microsoft [MSFT] has also shown off some of the smartphones that will use its Windows Phone 7 OS. The guys over ate Engadget managed to get some shots of three new devices from Asus, LG and Samsung, although there are no details as yet on what sort of specifications each model will feature. What we can tell from the photos is that all three devices, have a similar sized screen, and the LG device features a slide out QWERTY keyboard. As soon as get get some more details on these new Windows Phone 7 smartphones we will let you guys know.